We’d love to hear about your experience! If you’d like to share some kind words and smiles, please ask our front desk staff for a comment card at your next appointment. "When you seek orthodontic care for your child and find people such as Dr. Kawata and his staff, then you can be certain that you've found the best. 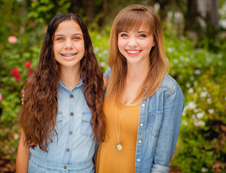 They consistently display genuine concern, knowledge, and expertise that we have experienced throughout both our daughters' orthodontic care, which has spanned over more than a decade. This team of high level professionals has guided us through consultations and treatments that included X-rays, spacers, expanders, head gear, pulled teeth, rubber bands, and now retainers. Our expectations for orthodontic care have been exceeded countless times. We expected the end results of a ten-year journey and relationship with Dr. Kawata and his team to yield amazing smiles, which it has, but we have also greatly benefited from the care, concern, expertise, and guidance of the entire staff through every stage. We are grateful for the orthodontic journey we decided to embark upon with Dr. Kawata and his staff. Our daughters' smiles are a testament to the fact that we made the right decision." 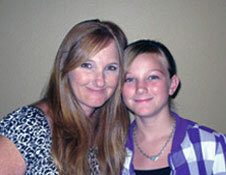 "The best part of being a patient myself was personalized service. Dr. Kawata gave me several treatment options to choose from. He personalized my treatment to the ultimate goal of mine, which was to have straight teeth minus jaw surgery. The end result was a smile that I enjoy showing off. The staff enjoy getting to know you and they develop lasting relationships. When you walk in you are greeted by name and always with a smile. The office is always clean and organized. I highly recommend this office to anyone who is searching for orthodontic treatment. They treat all ages, I couldn't see myself or my family going anywhere else. 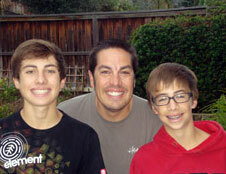 Dr. Kawata is currently treating my 16 year old and my youngest can't wait to get his braces on. What kid is excited about getting braces? Mine is. Thank you Dr. Kawata and staff for my beautiful smile. You and your staff are wonderful and I am looking forward to continuing our lasting relationship." 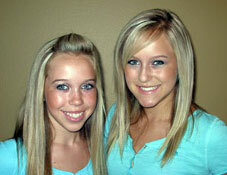 "We have had the pleasure of being patients of Dr. Kawata's for several years. My third and final child recently began her treatment, and to be honest, it makes me sad to think we will soon no longer be able to interact with Dr. Kawata and his wonderful team. Dr. Kawata always has a smile on his face! He makes us feel like we are important to him in his approachable, caring ways. It is so refreshing to encounter such an efficient, friendly, and classy front and back office staff. They feel like family; we couldn't be happier here! What is typically a frightening experience for children is actually a pleasant one when you are a patient of Dr. Kawata's. My kids have never complained about going to their appointments. They feel like they are getting personal attention every time, and Dr. Kawata always makes it a point to connect with them with his impeccable 'chair-side' manner." "I was referred to Dr. Kawata by neighbors who told me that Dr. Kawata was the best! Now after my personal adult orthodontic treatment with Dr. Kawata, I am the very confident one referring everyone to Dr. Kawata because I trust him. I know he will do everything he can to get the best possible results. I always felt confident in his expertise because Dr. Kawata always explains everything about the treatment he provides. Thank you Dr. Kawata, I always smile with confidence! 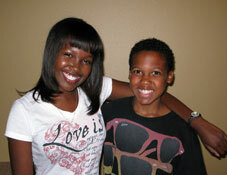 Dr. Kawata also did an outstanding job with my children's orthodontic treatment. I knew that my family was getting the most up to date orthodontic care available because he's part of the USC School of Dentistry faculty. Dr. Kawata and his friendly office staff always welcome us to a very clean state-of-the-art facility with all the tween/teen details that his patients really appreciate! "Our experience with Dr. Kawata and his staff has been nothing but positive! From the moment you walk through the door you feel welcomed and valued. Our appointments have always been on time, and I love that Dr. Kawata is always available for any questions I might have. He takes time with each of his patients making them feel very comfortable with each step of the process. The office staff is composed of an amazing group of ladies, they are all very warm, friendly, and helpful. If you are looking for a orthodontist I would highly recommend Dr. Kawata!" "Dr. Kawata and his staff are amazing. From the minute we walk in the door, we are greeted with warm smiles and professionalism. 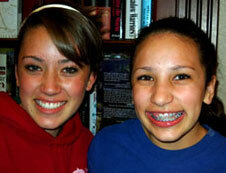 All four of our kids have had their orthodontic work through Dr. Kawata. In all the years we've been coming, his office has consistently been a pleasure to come to, and I am happy to recommend his services to all my friends." "Dr. Kawata has been a part of my family for two generations! I was blessed to be his patient as a teenager and now my children are blessed to be his patients. I know that we are getting the best care available. Appointments are efficient and timely. My kids enjoy coming to appointments. They are treated with respect and kindness." "My experience has been great! Everyone in the office is very nice, kind, and caring. They are all very friendly and always have a smile on their faces. They are always willing to work with our schedules and provided excellent care. My whole family comes to Dr. Kawata's office and I would recommend it to everyone." 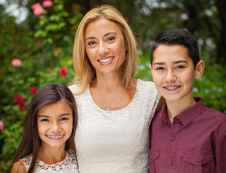 "This is our third and final child to have the privilege of having Dr. Kawata as her orthodontist. 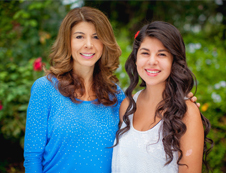 Being the mom and having to make all the appointments, Dr. Kawata's office has made my experience a joy!" The best part about being Dr.Kawata's patient is the feeling of being completely taken care of. If I ever had a concern, it has always been addressed. Not only is Dr. Kawata a highly intelligent man, his character and principles come through first. My daughter has the privilege of seeing how a professional office should be run. She also benefits by having a beautiful smile now. The office is always so organized, on time and very pleasant." "I am 64 years old and was terrified of coming to the orthodontist but got to the point of having to. All the staff here is so kind and gentle and now I am relaxed and calm. I have braces! I'm excited! I feel so comfortable here and Dr. Kawata and his staff are so professional and knowledgeable!" "I've had such a wonderful experience at this office because of the fantastic team of staff! I couldn't be happier with my smile!"